I really loved reading a comment from one of my readers.. its worth starting this post with it..
“We have zero food waste as well, there is always something on the farm that will use up what we can’t. It has however, made me very aware of how much work/expense goes into being as self sufficient as we are. I long ago decided that it matters little if I have an entire freezer full of chicken when we average one chicken dinner a month, or two hogs in the freezer when we only go through one….and so on. I like to have a years worth of meat and veggies – two years for salmon and a few other things. We’ve taken to raising only what we think we can consume by the time the next season rolls around. Anything over and above that (as in the case of a steer going into the freezer) goes to my kids right off the bat. This really hit home for me in a big way.. then a friend replied on this post on facebook and I answered her this comment..
its kinda crazy, on one hand I can produce the food/veggies/meat but in the end I outproduce what we need ourselves but can’t carry the costs needed to get that food out into the inspected stamped local food supply without taking heavy losses on returns. Its been rolling around in my head for the past hours. I would like to say that its a strange thing that this has gotten to this point but in truth, I think at least to a point.. this has at least in my country been a choice made by those that DO NOT want local small farmers to be able to successfully make a living in a real way. I mean its possible, there are folks out there that do make a income on their farms, I am not saying there is not.. and I know that I can grow enough “extra” that I could run a table at the local farmers market, or that I could take my extra’s and make them into “extra” value items like a jar of a jam.. there is plants that can be sold, seeds that can be collected and sold and of course you can sell farm gate meat etc. But I want to bring it back to that statement.. My land and my own skill set at this current time can overproduce what my own personal family needs and yet with our current system in place, I can’t sell it in a way that does not require enough extra cost output’s laid on us in so many ways due to regulations, that it does not eat up any and all profit. I have hit this very odd place of needing to scale down or needing to scale up.. I am not the only person to have hit this point. I am seeing other people that I have respect for needing to make a version of this choice as well. The past few years have seen me scale down due to weather, due to hay shortage, and it saw me move different breeding programs in ways that allowed me to continue moving forward. This however has me slowly coming to the head space to understand that I am doing to end up scaling down more.. not because I have to.. but because it just makes sense for us at this time to not over produce on our farm. More garden to a point.. but less breeding programs and less protein production. Such a strange place to be at the moment.. There it is.. So now the question becomes.. what do we REALLY need to produce on the farm and how many critters do we need to make that happen? Stay tuned as we are about to make some BIG(or at least it feels that way to me) changes on our little homestead. I am in Ontario Canada and I am allowed to sell farm gate meat but in order to do that, I must have the animals butchered at a provincial butcher, the meat must be stamped, it must be stored in its own freezer etc I can sell eggs at the farm gate but there is a very strong limit on the amount of hens you can have. For jams and such, you must have your kitchen inspected, you must label and you must now send a sample of each batch in to be Tested to prove its safe.. They just keep adding more rules and most costs.. Tags for this, extra costs for registering this or that.. even the rules for bringing the meat home.. the rules have been hard but since the new signing of the EU-Canada trade rules.. they have exploded. My goodness! I can’t believe that the states (at least my state) is more relaxed about this. Well, I see what you’re saying. They really don’t want you to sell your food! Yes, Deb it really could be said on either post..
We tried to keep supplying off farm consumers after all the new regulations and rules came in (govt inspection etc etc as you say). Even before the new rules – profit was slim – and honestly, you never recoup the cost of you labor. After the rules changed – and we adjusted our prices accordingly, we lost many customers. It matters little to them that you may have the best pork, goat, chicken in the land – their grocery budget can only stretch so far. Not being able to control or anticipate outside costs (feed, slaughter etc) is the fly in the ointment. 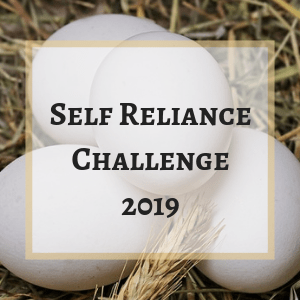 You’re aware of how you have to scramble on your own food plan should there be a hay shortage, or the price of grain suddenly doubles….imagine the scrambling you have to do when you’re in the middle of raising food for customers. We had a similar experience here in Texas. By the time I pay the farmer’s market fees in the nearest town, I’m already behind. I can see why people charge so much for their products. They’re not making more. They’re just breaking even. So then you have to ask yourself, is it worth the time I spend all day there when I could be doing something at home? ‘My parents grew up during WW2 and the immediate post-war period in England and they passed on their deeply ingrained ‘scarcity’ mentality to me. It took me years to not feel guilty if I didn’t clean every last scrap of food off my plate. Mrs Widds had a similar experience but she grew up in the Interior (of BC) so it was a different sort of ‘scaricity’ for her. We both make sure there’s enough basic foodstuffs, and know how to cook them, for ‘rainy days’…. but, as that first comment said, there are things we’ll never use up completely before they’d no longer viable. We’re also slowly weaning ourselves away from animal-based protein and onto plant-based, but there’s still too much old meat sulking at the bottom of the freezer, all in the name of ‘just in case’. The whole ‘rules and regulations’ government interference in selling produce is driven by fear, and greed, (how surprising) that I think is only going to get worse as more and more effects of the change in global ecosystems are felt on a local level … and you average person is going to want their ‘government’ to protect/save them. Farmers and people who grew up on the land understand that you can only pour so much energy into an ailing thing in hopes that it will recover, and if it doesn’t look like it will recover then there comes a time when a decision has to be made … the branch pruned or tree cut down, the animal butchered, the crop ploughed under, etc. Are we at that point yet? I reckon we’re really close … I do have some hope when I see the next generation get fired up and work for change, but the inertia of a culture as a whole heading in a particular direction will take a herculean effort to redirect, and, I wonder if there’ll be enough of them and if they’ll have enough time. This comment needs some thinking on and I will get back to it.. So many good points in there..
And now, after this 2nd post, I’m repeating (and then some; ) but also (accidentally/coincidentally) manages to tie in with Widdershins’ comment too, funnily enough. I hear ya Deb, I do.. and yes.. agreed on all of it. Good to know that Peterborough’s fighting back too, hey?